The GDPR (General Data Protection Regulation) has been described by the Information Commissioner’s Office (ICO) as a “game changer for everyone” and will require all sports clubs and associations to change the way they think about personal data. It comes into effect on 25th May 2018. Changes to data protection regulations are required as the advances in technology over recent years and the different ways that personal data is now processed (collected, stored, shared, etc.) with this new technology need to be included. Under the new principle of accountability affiliated clubs and associations will need to be able to demonstrate their compliance with the GDPR. This will require having appropriate policies and procedures in place, complying with record keeping requirements, data management, including determining appropriate retention periods for different categories of personal data and conducting data protection impact assessments to determine risk levels of processing activities, particularly when processing sensitive personal data. All chess clubs and zone reps will need to comply with the regulations or penalties could be imposed, including fines. GDPR will apply to you whether you pay staff or are all volunteers, whether you have 10 members or 1000 members………… there are no exemptions! GDPR will give EU citizens (this includes UK citizens as GDPR will still be UK law after Brexit) more control over how their personal data is used. It will make it clearer for clubs and the WCU to understand their data protection requirements. The reason that all clubs need to comply is that clubs collect data about its members – name, address, e-mail address, telephone number etc. For some clubs additional data may be collected such as dates of birth, gender, emergency contact details or medical information. Personal data is defined as any held record that can identify a living person. Note: The WCU will NOT be responsible for records that are kept by individual clubs that are used solely by the club for its own purposes. Compliance advice for Zones and Clubs can be found here. 2. WCU Privacy Statement and Tournament Participation Conditions. The WCU will be the ‘Controller’ of the personal data you provide to us, whether from clubs, zones or event organisers. We only collect basic personal data about you which does not include any special types of information. This will, however, include name, address, date of birth, email, phone number. We need to know your basic personal data in order to provide you with information about the WCU and its events. We also need player registration information in line with the overall membership of your club, to provide details for the Year Book, including club official’s contact details and player’s rating and club membership details. 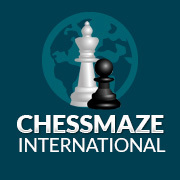 In some cases we will need to forward a copy of your record to FIDE in order to obtain an International Rating, or to another FIDE affiliated body, for the purposes confirming your identity for rating purposes and tournament entries. We will not collect any personal data from you we do not need. If we need further information we will contact you directly. See section 2.7 for the details of what data is required and why. All the personal data we process is processed by our elected officers and directors, however for the purposes of IT hosting and maintaining this information, it is located on servers within the European Union. No 3rd parties have access to your personal data unless the law allows them to do so or you have given permission. We will keep your data on record for as long as you are a member of the WCU. After you leave the WCU, we will remove your record at your request. If we do not receive a request to delete, we will keep your record archived for future use, such as rating calculations for the current season. The record will be reactivated with your games history, if you re-register with the WCU. We would, however, like to use your name and email address to inform you of our future events and various updates from time to time. This information is not shared with third parties or other members and you can unsubscribe at any time via phone, email. Becoming a member of the WCU assumes you consent to this. Please contact the WCU data controller (executivedirector@welshchessunion.uk) if you wish to be removed from the email list. The WCU may use your data to support an application to the Welsh Government for a grant as it is a condition that we provide evidence of progress in specific areas of our chess development programs. 2.6 What information will be held by the WCU? All of the information you supply to the WCU, either directly or via clubs or tournaments, will be held only by them unless data has to be sent to FIDE for results and grading processing. Only those who need access to data will be allowed that access. In January and July, the WCU will provide new grading lists, which will appear at http://www.welshchessunion.uk/wcu-geading-list/ (this spelling is correct at time of publishing). There is also the WCU Rapid play list which will appear at www.wcurapidplayratings.co.uk. 2.6.2 What information will the WCU pass on to FIDE? The WCU’s International Rating Officer will also have access to this when processing the rating data, and this will include the date of birth in full. 2.6.3 What Tournament information will be collected? In addition, during the Event, the WCU may publish the moves of games as they are being played on live boards. 2.7 Summary of Data Collected and Why. The following table summarizes the data we will collect and the reasons why. Address To allow us to identify whether or not players are Welsh resident, and thus eligible for “Welsh” prizes. Prizes may be sent on to winners. Email To allow us to contact you in case of emergency or problem with your entry. To let you know about WCU events or results. Club/School To allow us to identify whether or not players are Welsh resident, and thus eligible for “Welsh” prizes. Also required for rating publication. Date of Birth To allow us to assign players to correct age groups, or whether or not players are eligible for age-specific prizes. It is a FIDE requirement for FIDE-rated events that we report dates of birth. Gender To allow us to identify whether or not players are eligible for gender-specific prizes (e.g. Boys prizes, Girls prizes). FIDE rating / WCU grade / Other grade and source To allow us to verify whether or not a player is eligible to compete in a particular section (e.g. a rating-restricted section), Particularly for players who are outside Wales. Game Scores and Results Games from all WCU events will be converted to electronic format and stored as part of the WCU Games Database. Results, including names and clubs, will be published on the WCU website. Nationality To allow us to decide whether or not you are eligible to compete in, e.g. a closed event or certain International competitions. Federation It is a FIDE requirement for FIDE-rated events that we report the player’s Federation. This information is made public because it is of legitimate interest. This means that written consent is not required to gather this data, unless there is risk to the individual upon publication. In this case the individual must let the data controller be aware. 2.8 Who is responsible for processing this information? The WCU is of the opinion that it has a legitimate interest to publish these photographs or videos for the benefit of helping to publicise a WCU event. In the case of juniors, please refer to the Parental Consent form. 2.10 What are your rights? This document can be downloaded for reference here.